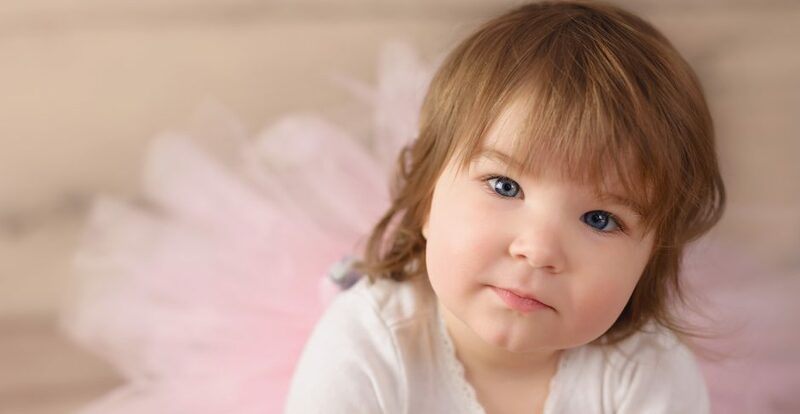 From the perspective of a hearing parent raising a deaf daughter I want to share our experience with choosing cochlear implants for our Rebecca and some of the controversy that surrounds it. I expect many already know, but to briefly explain; A Cochlear implant is a small device much like a hearing aid that provides the sense of sound to a person who is profoundly deaf. There is an inner receiver that is implanted sub- dermally on the recipients head. The internal piece (2,3) alone does nothing by itself, it requires a sound processor (1) and transmitter (2) this is the piece that you see attached to the back of a CI wearers head. This piece is attached by a magnet to the internal receiver and sends information via radio frequency through a coil transdermally to the internal receiver. The receiver decodes the information and sends that data to an electrode array within the cochlea. This system replaces the hair cells of which a hearing person has approximately 25000 per ear. These hair cells stimulate the auditory nerve and in a cochlear implant wearers case these hair cells are replaced with between 16-24 electrodes depending on the internal device chosen. As you can imagine trying to replicate how a person hears with such a limited amount of electrodes is not perfect, it simply is not scalable and is not a replacement for hearing. So it is important to note that although the device will help a person perceive sound, there are significant limitations and the person is still considered deaf and it is equally important to understand that a cochlear implant is not a cure to deafness. This is a hard concept for some people to grasp (9 months ago I would have put myself into that category as well) and I feel compelled to try to best explain it because it is still very important when interacting with someone with a cochlear implant that you ensure that you are paying attention to cues that they are having a difficult time understanding you. Ensuring that background noise is low and clear lines of sight to allow for lip reading are still important, and of course, if and when sign language can be used that is a fantastic form of communication as well. I explain this mostly because I want our Rebecca to be part of the conversation and I want to make people aware that they will likely need to “try a bit harder” to communicate with her, don’t allow the belief that the cochlear implants are a panacea to bridge the communication gap between the hearing and deaf, it is not! What I mean by taking the extra time is that if even in the most mundane conversation, especially in a group, if a deaf person is present and they need someone to repeat something never dismiss them and say “never mind”. Take that extra time to repeat yourself. In the title of the blog post it says “The Cochlear Implant Debate” but you may question, “why would anyone debate enabling a person to hear?” the answer is simple. Its because there is nothing wrong with Rebecca, she is not broken, and she does not need to be fixed. Yes she is deaf and yes she will have difficulty communicating with the hearing only world but being deaf is her normal. Some of the deaf community view cochlear implants as a “fix” to a problem and assimilate that to hearing people believing that they are broken. From my perspective there is also an aversion to cochlear implants because it threatens deaf culture and that the impact of cochlear implants are going to erode some of the cultural norms that are an inherent part of being deaf, which includes the main form of communication ASL (American Sign Language). This fear has led in some cases to hostility towards hearing parents of deaf children that choose cochlear implants. If not blatant hostility then it’s the passive aggressive comments from some of the deaf community that we are subjected to. Clearly some of it is triggered by the fact that hearing parents of deaf children are sometimes ignorant to deaf culture and simply do not know what and when to say things. Sometimes we may come off offensive but recognize that we need time to learn, in many cases this is all very new to us. It is common to receive unsolicited comments on the decision that we have made. We are regularly told by members of the deaf community that Cochlear Implants don’t always work, they fail, it’s a dangerous surgery etc… When interacting with folks who use ASL and discussing ASL it is pretty easy to glean what they think of your decision. You see, in the English language you understand how someone feels about a topic by their tone and body language and can easily detect passive aggressiveness if it is present. A perfect example is say you walk into a room and someone is changing in that room you may hear “may I help you?” of course they really mean “get the hell out of here”. No different in ASL, you see there are multiple signs for words and depending on how they are signed the message can be entirely different. For example when signing “cochlear implant”, some will use their fore finger and middle finger held in a v shape and slightly bent like the fangs of a snake. They will take their fingers and make a jabbing motion to the back of their neck. On the other hand a U shaped hand placed gently on the back of the head is an alternate sign for cochlear implants. When interacting with a hearing person recently who is heavily involved in the deaf community we were discussing the decision and he signed cochlear implant with the jabbing motion to the back of the neck but also with a pained expression on his face. Immediately I knew how this person felt about our decision. As a parent of a deaf child who will receive the implants the sign is offensive mostly when the pained facial expression is added. The gentle placement of the U-hand to the back of the head is the sign that should be used. I know a cardinal rule when it comes to ASL is that I cannot give my opinions on how something should be signed and I completely respect that notion, however in this case, I hope to never see that sign used with my child. I’m sure that for the most part people have the best intentions when using these signs. However, it’s these same subtle passive aggressive actions that continue to drive a wedge between the hearing and deaf communities. It’s a sensitive time for a family during the time you find out that your child is deaf to the time that you make a decision to implant or not. I also get the sense that the deaf feel that we as hearing parents of a deaf child are vulnerable and are persuaded by th medical world to make the decission to implant. Comments are made about the financial incentive that the administers of the cochlear implants receive for each implant. All very much false from our experience, in fact, the surgeon was the very last person that we met with after we made our decision, and along the way there was never any pressure to choose. The only pressure was to provide access to language and the first language they introduced us to was ASL. We were told that our decision did not necessarily matter it was just that we worked on developing a language, visual or verbal, it simply did not matter. Everyone on the staff of the deaf and hard program that we are part of had sign language training. They explained how we could get more access to courses and how to get involved with family sign programs. The goal was never to push cochlear implants on us, it was to enable us to make a decision on what language would be best for our child. The blog post title also says “Stuck In the Middle”. Not only are we met with questions around our choice to implant our child we are also met with questions around ASL and why we are teaching our daughter a language that she will not need because she can hear. We get the same passive aggressive comments about LSL (listen and Spoken Language), people in this camp believe that verbal communication is the only form of communication you should use with a child with cochlear implants. I do not believe this because as I said earlier she is still deaf and will need other nonverbal forms of language to communicate. We also want her to embrace her deaf culture, have deaf friends and be able to communicate with them as well. The bottom line is we want to give her a choice. I explained this concept of enabling Rebecca to make a choice and was met with a rash of disingenuous remarks, one even questioning what planet I was from. But it’s truly what I feel, I am not going to choose for my daughter. This is her normal and I will provide her the tools to enable her to make a decision later in life. We are currently part of a number of Facebook groups to help us better connect with both other cochlear implant recipients as well as members of the deaf community. We have attended many deaf events and events specifically for people with cochlear implants. At one of these events probably about when Rebecca was five months old I was proudly telling one of the moms of a deaf child that I was taking ASL classes. I figured we could share a few experiences about learning ASL but little did I know I stepped on a land mine that exploded with questions about my intentions. “How would she learn two languages? What will be her primary language?” etc.. I walked away slightly discouraged but luckily before I could give her the one sign that I had learned before learning about Rebecca’s deafness. So here we are “stuck in the middle” we strongly believe in parents choice. Frankly it is far too complex of an issue to take a firm position on a family’s decision, regardless if you agree or not. Everyone’s situation is unique and there are too many variables to list so how could anyone form an opinion about what I as a parent should choose for my child. The answer is you can’t and you simply have to allow the decision process to happen without trying to influence it. Our decision to implant Rebecca went back and forth a couple of times. Our first reaction to finding out she was deaf was that we had to get her implants. It took us a while to figure out that being deaf was not a burden, it meant that she would have access to a much bigger world than we did, not smaller which was our initial fear. Once we learned more about deaf culture we began to back off of the perceived importance of getting her implants and decided that we would embrace the fact that she was deaf and start teaching her ASL. Mind you the implants were not off the table but the decision became a little less clear. Things became a lot clearer when she was diagnosed with Usher Syndrome. We now had a real need to have her implanted so that we could develop her verbal language before her vision was lost. In the end, even before the diagnosis, we decided we would give her both. We are committed to teach her about a culture that she belongs to and to teach her to be proud of who she is along with that cultures language, and we are also committed to develop her verbal communication through spoken language. I think what is important here, and I don’t want to belabor the point, but the decision process is complex and pressure from one side or the other can easily persuade hearing parents of a deaf child to move to the opposite camp and ignore some of the other great aspects of being deaf or being hearing. Parents want the best for their children so why not both? I get it though, being part of a culture that many do not understand and are perceived to not care about is frustrating and I am sure at times is maddening. I am completely empathetic to the frustration that the deaf deal with on a daily basis and when parents make a decision to implant I can totally see how it can be viewed as a fix to a problem. But here is the thing, we are ultimately the parents of these children and the complexities involved in the decision to implant are too grand to be generalized as a slight to a cultural norm. We are not easily persuaded contrary to the beliefs that the doctors used our vulnerable state to push this decision on us, and the comments and subtle persuasion from both the deaf and hearing will do very little to sway our decision. There is a gap between the hearing and deaf communities and every gap needs a bridge. I would contend that instead of looking at hearing parents of deaf children as ignorant and threatening to cultural norms, use them to bridge that gap. I personally had no deaf people in my life prior to the birth of my daughter, and in the short 9 months she has been on this earth I have learned an incredible amount about deaf culture and what it means to be deaf. I learned that being deaf is not an impairment, its not a disability, its no longer something that I think is unimaginable. It’s the opposite of all those things, it means to be part of something that many of the hearing world will unfortunately never experience. But I am not the only one who has learned all of those things because as you see, I as Rebecca’s parent am also her advocate and I tell as many people as I can about what I know about deaf culture and what it means to be deaf. I tell them that just because she has implants does not make her not deaf. I tell them that this is not a disabiluty. I tell them these things because this is what I have learned so far on this journey and I am proud of who my Rebecca is and my only wish is for her to be proud of who she is as well. I think there is an opportunity to foster this determination that we have to advocate for our deaf children regardless of our decisions to provide this tool to our kids and use us to help build that bridge. A parent will tolerate only a finite amount of criticism before they begin to resent those who are questioning their decisions. I whole heartedly agree with you! Even though my children have hearing aids, they are learning ASL and have interpreters at school. Schools are very noisy places and they supplement not being able to hear in loud places with ASL and lip reading. My children will go blind someday if they don’t find a cure and most likely profoundly deaf, but I want to give them the tools to choose how they want to live someday. By the way, and you may already be well aware of this, but babies/children have amazing capabilities of learning multiple languages at once regardless of hearing abilities. Thank you so much for enlightening me on your perspective of this debate. You are giving your child every opportunity to communicate in both worlds. Absolutely beautiful!!!! And… she is not broken. She’s deaf.